Here is Mark Zaputil up close and personal at one of our venues. 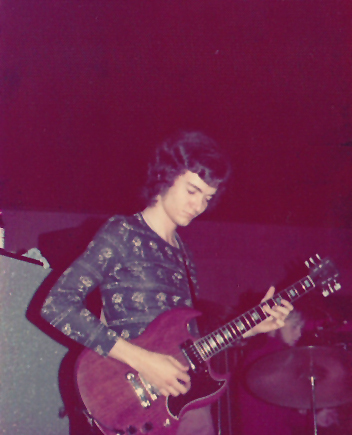 He is playing one of his guitars, the red Gibson SG. ‹ 1975 Photo of Silver Laughter Onstage in… Don’t Know!